The Model E-AF Drain Cleaning Machine features auto cable feed that advances and retrieves cable with the push of a lever, while a cable guide spring keeps hands off rotating cable for added safety. Cleans 1-1/4" - 3" diameter lines up to 50 ft. while running 3/8" or 1/2" dia. cable. 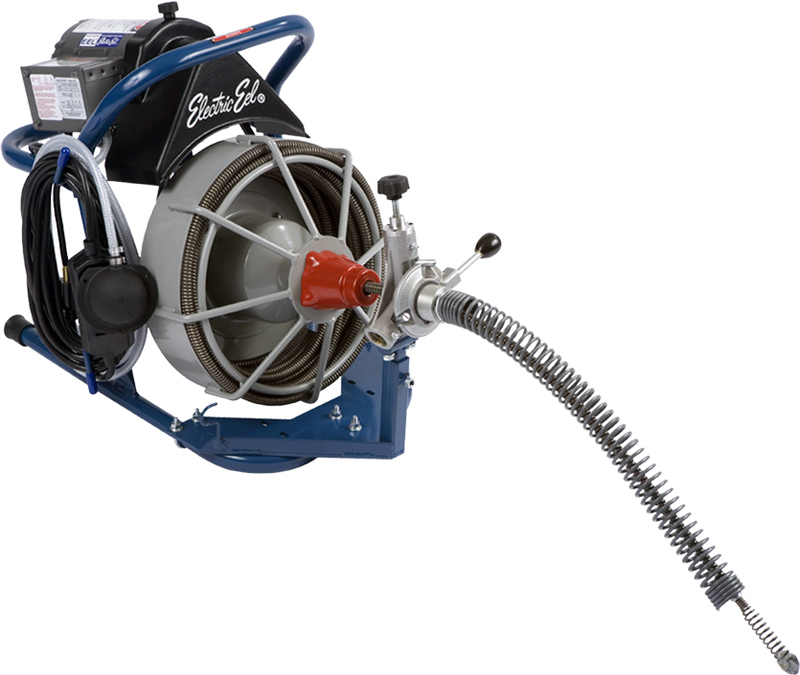 Inner drum eliminates cable buckling in open cage for quick inspection and cleaning. Built-in drum shaft slip clutch. Steel guide tube/inner drum. 1/2" x 50 ft. cable standard.